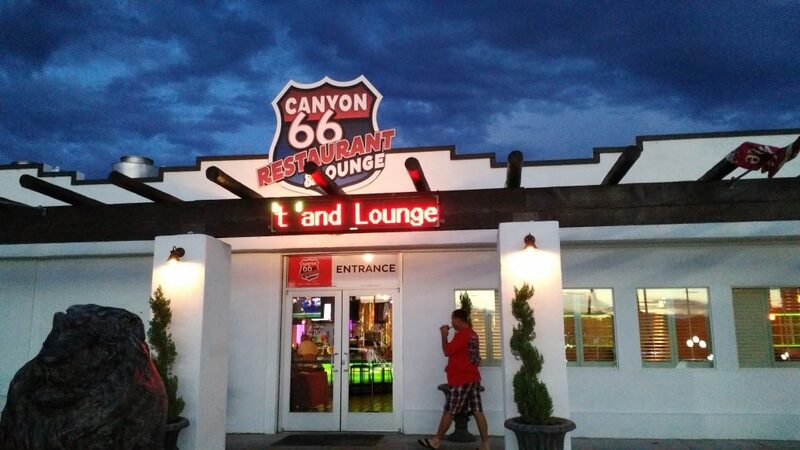 Canyon 66 Restaurant and Sports Lounge is a hot spot for both locals and travelers. 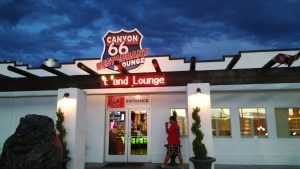 Located near the Grand Canyon and Hoover Dam, it serves as an ideal rest spot for tourists to relax and enjoy a wide variety of delicious food and entertainment. 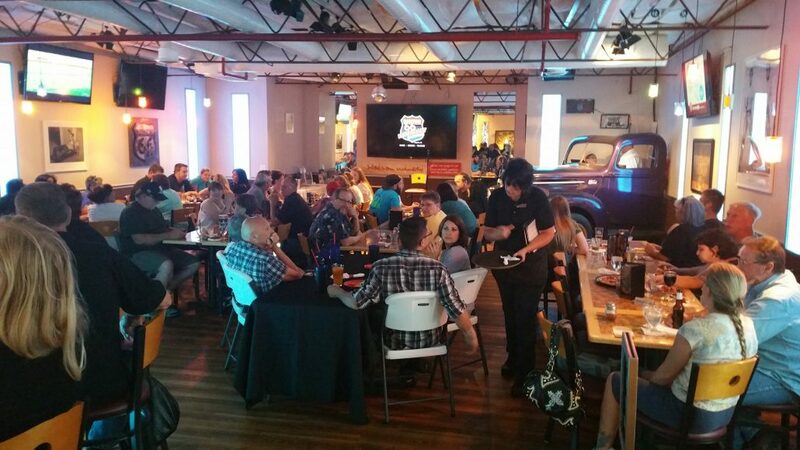 Be sure to stop by and enjoy The Best Meal in Kingman and stay for a show! Our menu consists of American and Italian cuisine. We have everything from Classic Burgers to Chicken Marsala. Weekly specials include Monday ~All you can eat Spaghetti for $7.66 | Tuesday ~Taco Platter for only $8.66 | Wednesday are 66 cent Wing day and Thursday is our $8.66 Fish Sandwich served with fries. Mornings don’t get any better with three different $4.66 offerings including Unlimited Pancakes,Triple Stacker Sandwich, or our Famous Steak Omelette served with homefries. We’ve got some local favorites such as Kilt Lifter and Mudshark that are brewed right here in Arizona and Lake Havasu City.